I really enjoy photography and I'm learning a lot over the years. Recently I found a photo I capured back in June or so 2008 that I called "Bird on a wire with worm"
Its a little black bird of sort, on a wire perched up in my backyard. "Looks like an immature Starling with a caterpillar. Or maybe a grub. 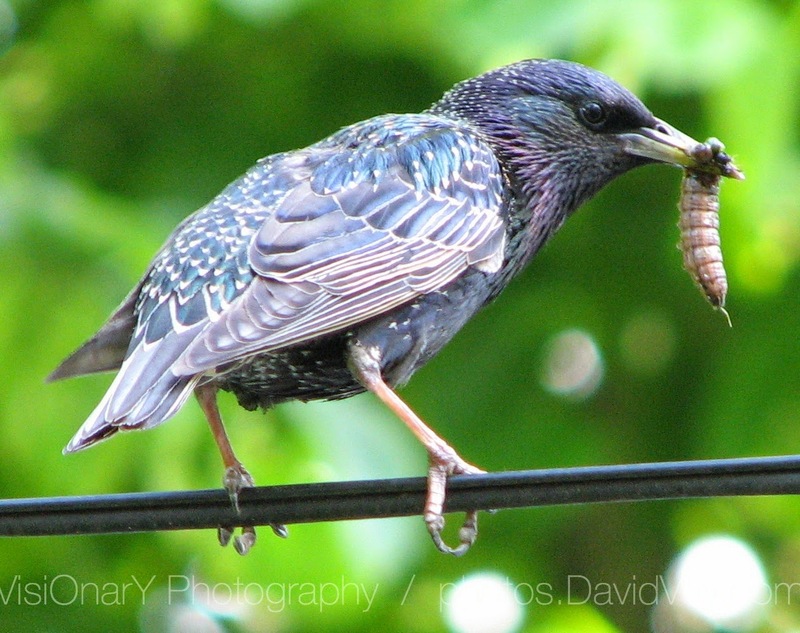 Starlings are notorious for enjoying grubs." I think it turned out pretty good. I think its just exactly as it was shot. Most of my photos, would use some image processing to adjust aspects like color , sharpness, etc.. This photo has no image processing. I was using what I would call my first decent camera, a Canon S3IS. Back then, were talking like $570 for the camera. I still have it and I think I'm to break it out and start using it some more. I also have the predecessor Canon S2IS as well. Currently since end of 2013 , I'm using a Canon T5i. This is my very first DSLR camera, and I really enjoy what I can accomplish with this camera, even with the limited kit and budget lenses I have. I'm hoping to get some high-quality lenses soon and believe that it will take my photography to the next level.